This article examines the disjunction between ethical vegans’ private morals regarding animals and their public presentation of them as an instance of American individualism. 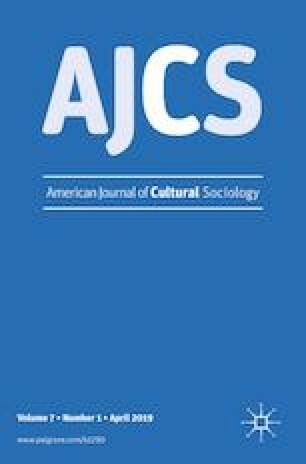 Using in-depth interviews and observations of vegan gatherings, I find that most vegans, those who employ what I call “strategic individualism,” think of veganism as a general moral imperative—that humans ought to be vegan as a matter of social justice for animals—yet they frequently individualized their positions when interacting with nonvegans to avoid interpersonal conflict and thereby engage nonvegans. Rather than discuss morals as collective obligations, which they privately believe, vegans who use strategic individualism present morals as individual choices and experiences. The differences in their private morals and their public presentation demonstrate that individualism may be better understood less as a fundamental orientation, which is the dominant approach in cultural sociology, so much as an interactional strategy to achieve particular goals. I thank Robert Zussman for his guidance and mentorship. I also thank Amy Schalet and Jonathan Wynn for their thoughtful comments and suggestions. Empowering Education. 2015. “I-Statements.” Empowering Education, Inc. (https://empoweringeducation.org/wp-content/uploads/2015/11/I-Statements_final.pdf). Accessed Aug 2017. Federman, Eliyahu. 2015. “Cory Booker’s Animal Rights Extremism” New Yorker. (https://nypost.com/2015/01/04/cory-bookers-animal-rights-extremsim). Accessed 4 Oct 2015. Moby. 2014. “Opinion: Why i’m vegan by moby.” Rolling stone. March 18. (https://www.rollingstone.com/culture/news/opinion-why-im-vegan-by-moby-20140318). Accessed Oct 2015.